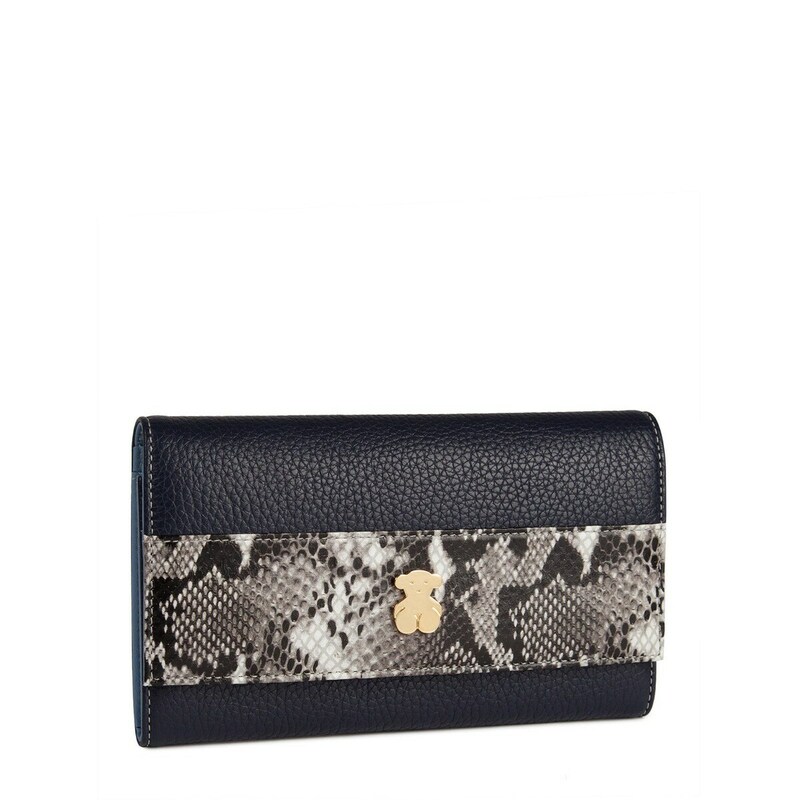 Navy-jeans color bovine leather TOUS Apola collection wallet Lucia Wild model. Two pressure button closure. 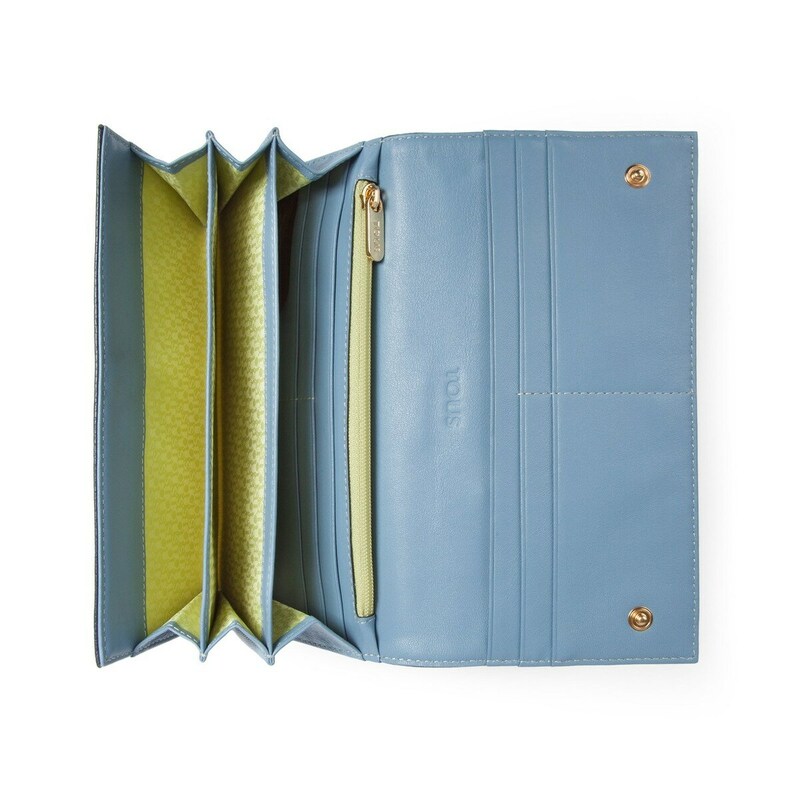 Eight inner pockets for cards, three for several things, two for bill and one for coin. Dimensions: 19cm. x 19cm. x 2cm.